For other people named Frederick Cook, see Frederick Cook (disambiguation). Frederick Albert Cook (June 10, 1865 – August 5, 1940) was an American explorer, physician, and ethnographer, noted for his claim of having reached the North Pole on April 21, 1908. This was nearly a year before Robert Peary, who reached the North Pole on April 6, 1909. Both men's accounts were disputed for several years. His expedition did discover Meighen Island, the only discovery of an island in the North American Arctic by a United States expedition. 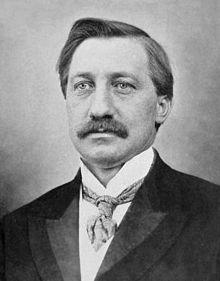 In December 1909, after reviewing Cook's limited records, a commission of the University of Copenhagen ruled his claim unproven. In 1911, Cook published a memoir of his expedition, continuing his claim. His account of reaching Mount McKinley's summit has also been discredited. Cook's birthplace is often listed as Callicoon (CDP), New York, but he was born in Hortonville, New York, also in the Town of Delaware in Sullivan County. His parents were recent German immigrants who anglicized their name by adopting a phonetic version of their surname. He attended local schools before college. He graduated from Columbia University and did medical studies at New York University Medical School, receiving his doctorate in 1890. Cook married Libby Forbes in 1889. She died two years later. In 1902, on his 37th birthday, he married Marie Fidele Hunt. They had two daughters together. After more than two decades of marriage, they divorced in 1923. Cook was the surgeon on Robert Peary's Arctic expedition of 1891–1892, and on the Belgian Antarctic Expedition of 1897–1899. He contributed to saving the lives of its crew members when their ship—the Belgica—was ice-bound during the winter, as they had not prepared for such an event. It became the first expedition to winter in the Antarctic region. To prevent scurvy, Cook went hunting to keep the crew supplied with fresh meat. In 1897, Cook twice visited Tierra del Fuego, where he met Anglican missionary Thomas Bridges. They studied the Ona and Yahgan peoples, with whom Bridges had worked for two decades. During this time, he had prepared a manuscript on their language's grammar and a dictionary of more than 30,000 words. Cook borrowed the manuscript for reference but failed to return it before Bridges' death in 1898. Several years later, he tried to publish the dictionary as his own. In 1903, Cook led an expedition to Mount McKinley during which he circumnavigated the Denali range. He made a second journey in 1906, after which he claimed to have achieved the first summit of its peak with one other expedition crew member. Other members, including Belmore Browne, whom Cook had left on the lower mountain, immediately but privately expressed doubt. Cook's claims were not publicly challenged until 1909 when the dispute with Peary over the North Pole claim erupted, with Peary's supporters claiming Cook's McKinley ascent was also fraudulent. Unlike Hudson Stuck in 1913, Cook had not taken photographs from atop McKinley. His alleged photo of the summit was found to have been taken on a small outcrop on a ridge beside the Ruth Glacier, 19 miles away. In late 1909, Ed Barrill, Cook's sole companion during the 1906 climb, signed an affidavit saying that they had not reached the summit. In the late 20th century, historians found that he had been paid by Peary supporters to deny Cook's claim. (Henderson writes that this fact was covered up at the time, but Bryce says that it was never a secret.) Up until a month before, Barrill had consistently asserted that he and Cook had reached the summit. His 1909 affidavit included a map correctly locating what became called Fake Peak, featured in Cook's "summit" photo, and showing that he and Cook had turned back at the Gateway. Climber Bradford Washburn has gathered data, repeated the climbs, and taken new photos to evaluate Cook's 1906 claim. Between 1956 and 1995, Washburn and Brian Okonek identified the locations of most of the photographs Cook took during his 1906 Denali foray and took new photos at the same spots. In 1997 Bryce identified the locations of the remaining photographs, including Cook's "summit" photograph; none was taken anywhere near the summit. Washburn showed that none of Cook's 1906 photos was taken past the "Gateway" (north end of the Great Gorge), 12 horizontal bee-line miles from Denali and 3 miles below its top. An expedition by the Mazama Club in 1910 reported that Cook's map departed abruptly from the landscape at a point when the summit was still 10 miles distant. Critics of Cook's claims have compared Cook's map of his alleged 1906 route with the landscape of the last 10 miles. Cook's descriptions of the summit ridge are variously claimed to bear no resemblance to the mountain and to have been verified by many subsequent climbers. In the 1970s, climber Hans Waale found a route that fit both Cook's narrative and descriptions. Three decades later, in 2005 and 2006, this route was successfully climbed by a group of Russian mountaineers. No evidence of Cook's purported journey between the "Gateway" and the summit has been found. His claim to have reached the summit is not supported by his photos' vistas, his two sketch maps' markers, and peak-numberings for points attained. Similarly, neither his recorded compass bearings, barometer readings, route-map, nor camp trash support his claim of reaching the summit. However, samples of all such evidence have been found short of the Gateway. After the Mount Denali expedition, Cook returned to the Arctic in 1907. He planned to attempt to reach the North Pole, although he did not announce his intention until August 1907, when he was already in the Arctic. He left Annoatok, a small settlement in the north of Greenland, in February 1908. Cook claimed that he reached the pole on April 21, 1908, after traveling north from Axel Heiberg Island, taking with him only two Inuit men, Ahpellah and Etukishook. On the journey south, he claimed to have been cut off from his intended route to Annoatok by open water. Living off local game, his party was forced to push south to Jones Sound, spending the open water season and part of the winter on Devon Island. From there they traveled north, eventually crossing Nares Strait to Annoatok on the Greenland side in the spring of 1909. They said they almost died of starvation during the journey. Cook and his two companions were gone from Annoatok for 14 months, and their whereabouts in that period is a matter of intense controversy. In the view of Canadian historian Pierre Berton (Berton, 2001), Cook's story of his trek around the Arctic islands is probably legitimate. Other writers have relied on later accounts told by Cook's companions to investigators, who seemed to present another view. There are striking similarities between Ahpellah and Etukishook's sketched route of their journey south, and the route taken by the fictional shipwrecked explorers in Jules Verne's novel The Adventures of Captain Hatteras. For example, the route the two Inuit traced on a map goes over both the Pole of Cold and the wintering site of the fictional expedition. Both expeditions went to the same area of Jones Sound in hopes of finding a whaling ship to take them to civilization. For details, see Osczevski (2003). Cook's claim was initially widely believed, but it was disputed by Cook's rival polar explorer Robert Peary, who claimed to have reached the North Pole in April 1909. Cook initially congratulated Peary for his achievement, but Peary and his supporters launched a campaign to discredit Cook. They enlisted the aid of socially prominent persons outside the field of science, such as football coach Fielding H. Yost (as related in Fred Russell's 1943 book, I'll Go Quietly). Cook never produced detailed original navigational records to substantiate his claim to have reached the North Pole. He said that his detailed records were part of his belongings, contained in three boxes, which he left at Annoatok in April 1909. He had left them with Harry Whitney, an American hunter who had traveled to Greenland with Peary the previous year due to the lack of manpower for a second sledge-journey 700 miles south to Upernavik. When Whitney tried to bring Cook's boxes with him on his return to the USA on Peary's ship Roosevelt in 1909, Peary refused to allow them on board. As a result, Whitney left Cook's boxes in a cache in Greenland. They were never found. Cook intermittently claimed he had kept copies of his sextant navigational data, and in 1911 published some. These have an incorrect solar diameter. Ahwelah and Etukishook, Cook's Inuit companions, gave seemingly conflicting details about where they had gone with him. The major conflicts have been resolved in the light of improved geographical knowledge. Whitney was convinced that they had reached the North Pole with Cook, but was reluctant to be drawn into the controversy. The Peary expedition's people (primarily Matthew Henson, who had a working knowledge of Inuit, and George Borup, who did not) claimed that Ahwelah and Etukishook told them they had traveled only a few days from land. A map allegedly was drawn by Ahwelaw and Etukishook that correctly located and accurately depicted then-unknown Meighen Island, which strongly suggests that they visited it as they claimed. Meighen Island, a genuine Cook discovery, is the only island to be discovered by a United States expedition in the North American arctic. For more detail see Bryce (1997) and Henderson (2005). The conflicting claims of Cook and Peary prompted Roald Amundsen to take extensive precautions in navigation during his South Pole expedition so there could be no doubt concerning attainment of the pole if successful. 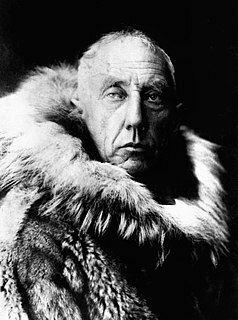 Amundsen also had the advantage of traveling over a continent. He left unmistakable evidence of his presence at the South Pole, whereas any ice on which Cook might or might not have camped would have drifted many miles in the year between the competing claims. At the end of his 1911 memoir, Cook wrote: "I have stated my case, presented my proofs. As to the relative merits of my claim, and Mr. Peary's, place the two records side by side. Compare them. I shall be satisfied with your decision." Cook's reputation never recovered from the attacks on his claim. While Peary's North Pole claim was widely accepted for most of the 20th century, it has since been discredited by a variety of reviewers, including the National Geographic Society, which long supported him. Cook spent the next few years defending his claim and threatening to sue writers who said that he had faked the trip. Researching the complicated story of the conflicting claims, the writer Robert Bryce began to assess how the men's personalities and goals were in contrast, and evaluated them against the period of the Gilded Age. He believes that Cook, as a physician and ethnographer, cared about the people on his expedition and admired the Inuit. Bryce writes that Cook "genuinely loved and hungered for the real meat of exploration-mapping new routes and shorelines, learning and adapting to the survival techniques of the Eskimos, advancing his own knowledge-and that of the world-for its own sake." But, he could not find supporters to help finance the expeditions without a goal that was more flashy. There was tremendous pressure on each man to be the first to reach the Pole, in order to gain financial support for continued expeditions. In 1919, Cook started promoting startup oil companies in Fort Worth. In April 1923, Cook and 24 other Fort Worth oil promoters were indicted in a federal crackdown on fraudulent oil company promotions. Three of Cook's employees pleaded guilty, but Cook insisted on his innocence and went to trial. Also tried was his head advertising copywriter, S. E. J. Cox, who had been previously convicted of mail fraud in connection with his own oil company promotions. Among other deceptive practices, Cook was charged with paying dividends from stock sales, rather than from profits. Cook's attorney was former politician Joseph Weldon Bailey, who clashed frequently with the judge. The jury found Cook guilty on 14 counts of fraud. In November 1923, Judge Killits sentenced Cook and 13 other oil company promoters to prison terms. Cook drew the longest sentence, 14 years 9 months. His attorney appealed the verdict, but the conviction was upheld. Cook was imprisoned until 1930. Roald Amundsen, who believed he owed his life to Cook's extrication of the Belgica, visited him several times. Cook was pardoned by President Franklin D. Roosevelt in 1940, ten years after his release and shortly before his death of a cerebral hemorrhage on August 5. He was interred at the Chapel of Forest Lawn Cemetery, Buffalo. ^ Henderson 2009, pp. 58–69. ^ Bryce (1997), p. 3. ^ "Ruth and Helene Cook". Haeckel Collection. Getty Images. Retrieved September 26, 2018. ^ Bryce, R. (1997). "An aerial photograph by Bradford Washburn". DIO. 7 (2). p. 40. ^ DIO. 9 (3). p. 129. note 18. ^ Bryce, R. (1997). DIO. 7 (2). p. 57. ^ Compare rock-by-rock the left side of Cook's 1906 "summit" photo to the corresponding parts of the 1957 photo by Adams Carter and Bradford Washburn. Photos juxtaposed in Bryce, R. (1999). DIO. 9 (3). p. 116. Compare also the background features in Cook's "summit" photo versus those in his own photo taken a few minutes later (towards the same direction) from the top of Fake Peak: Bryce, R. (1997). DIO. 7 (2). figure 4 versus figure 18; detailed-blowup comparisons in figures 6 and 8. ^ Bryce, R. (1997). DIO. 7 (3). pp. 96–97. ^ Washburn, Bradford; Peter Cherici (2001). The Dishonorable Dr. Cook: Debunking the Notorious Mount McKinley Hoax. Seattle: Mountaineers Books. OCLC 47054650. ^ Bryce. (1997). DIO pp. 60–61. ^ Bryce, R. (1999). DIO. 9 (3). pp. 124–125. ^ "University Finds That Cook's Papers Contain no Proof That He Reached the North Pole" (PDF). The New York Times. December 22, 1909. Retrieved December 20, 2011. ^ Cook, F. (1911). My Attainment of the Pole. pp. 258, 274. Cook's first account of what he left with Whitney did not mention data, and Whitney knew of no data in what was left with him. See Rawlins, 1973, pp. 87, 166, 301–302. ^ Rawlins (1972). Norwegian Journal of Geography. Oslo University. 26. pp. 135–140. ^ Osczevski, R. J. (2003). Arctic. 56 (4). ^ Osczevski, R. J. (2003). "Frederick Cook and the Forgotten Pole". Arctic. 56 (2). pp. 207–217. ^ Rawlins, 1973, Chapter 6. ^ Olien, R. (1989). "Doctor Frederick A. Cook and the Petroleum Producers' Association", Journal of the West. 28 (4). pp. 33–36. Bryce, Robert M. (1997). Cook & Peary: The Polar Controversy, Resolved. Stackpole Books. ISBN 978-0-8117-0317-8. OCLC 35280718. Bryce, Robert M. (December 1997). "The Fake Peak revisited" (PDF). DIO. 7 (3): 41–76. ISSN 1041-5440. OCLC 18798426. Henderson, B. (April 2009). "Cook vs. Peary". Smithsonian. Osczevski, Randall J. (2003). "Frederick Cook and the Forgotten Pole". Arctic. 56 (2): 207–217. doi:10.14430/arctic616. ISSN 0004-0843. OCLC 108412472. Rawlins, Dennis (1973). Peary at the North Pole, Fact or Fiction?. Luce. ISBN 978-0-88331-042-7. Silverberg, Robert (2007). Scientists and Scoundrels. Lincoln, NE: University of Nebraska Press. ISBN 978-0-8032-5989-8. Wikisource has the text of a 1920 Encyclopedia Americana article about Frederick Cook. Wikimedia Commons has media related to Frederick Cook. Meighen Island is an uninhabited member of the Queen Elizabeth Islands, part of the Canadian Arctic Archipelago, in the Qikiqtaaluk Region of Nunavut, Canada. Fake Peak is a small outcrop on a ridge beside the Ruth Glacier in Denali National Park and Preserve in Alaska, USA, 19 miles southeast of the summit of Denali. It has been shown by Robert M. Bryce that the "summit photograph" produced by Frederick Cook as evidence supporting his claim to have made the first ascent of Denali was in fact taken on Fake Peak. At 5,338 feet (1,627 m), this is almost 15,000 feet (4,600 m) lower than the true summit of Denali. Annoatok or Anoritooq, located at 78°33′N 72°30′W, was a small hunting station in Greenland on Smith Sound about 24 km (15 mi) north of Etah. It is now abandoned. Bradley Land was the name Frederick Cook gave to a mass of land which he claimed to have seen between and during a 1909 expedition. He described it as two masses of land with a break, a strait, or an indentation between. The land was named for John R. Bradley, who had sponsored Cook's expedition.